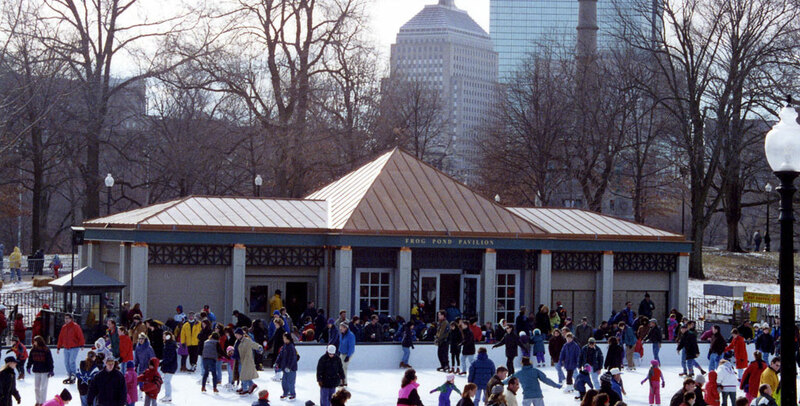 The Frog Pond Pavilion is a new park recreation center serving multi-seasonal use for the historic Frog Pond on the National Landmark designated site of Boston Common. 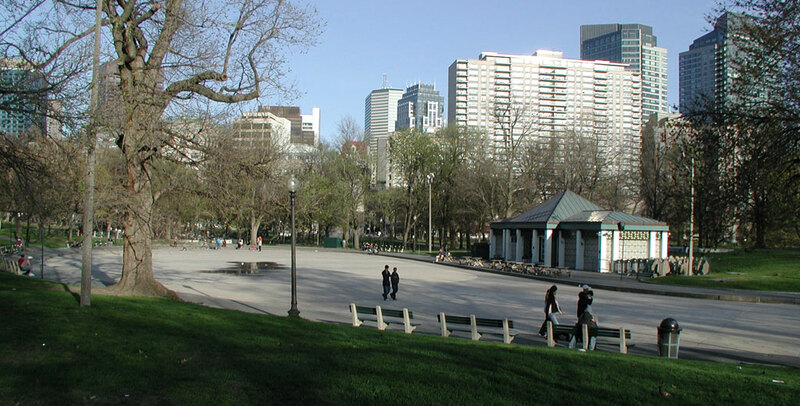 The prominent facility plays an important role for park activities. 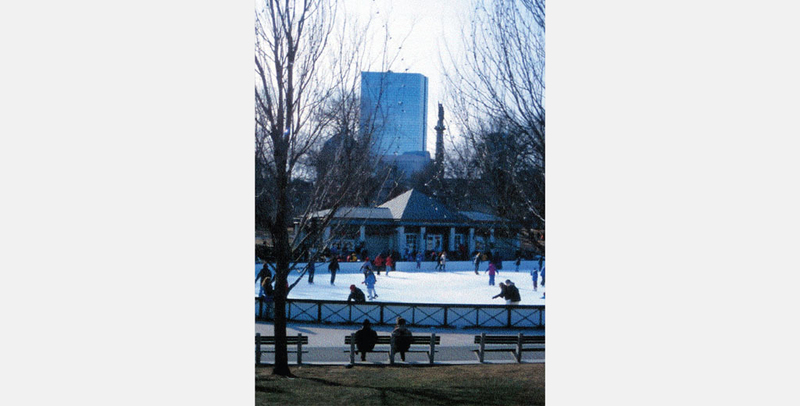 New water functions for the Frog Pond include a skating rink in the winter, spray fountain in the summer, and reflecting pool in the Spring and Fall. The 8,000 SF building has a high peaked central core housing a public hall, restrooms, and staff offices. A large basement contains mechanical and refrigeration equipment for the Frog Pond ice-making equipment and Water Works. 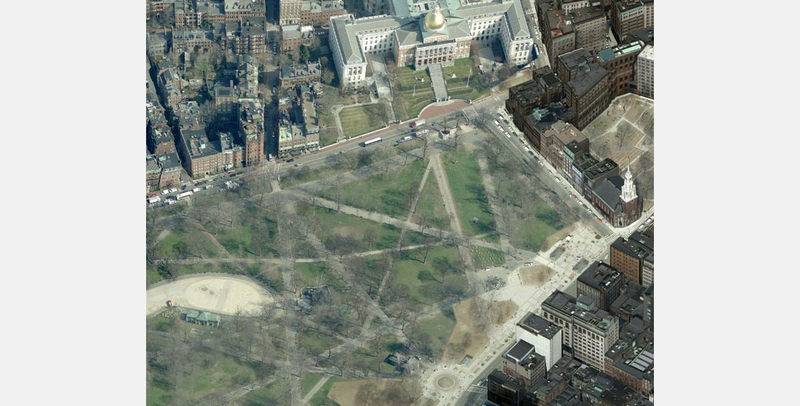 The open side wings provide open vendor areas, seasonal zamboni, storage, and flexible function space. Outdoor activities surround the facility and activate the park area year round. 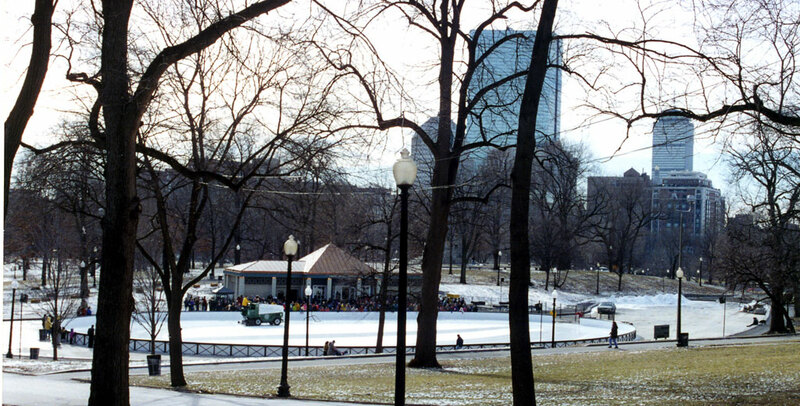 The Frog Pond, a vision spearheaded by the Mayor and developed in a public process that involved key stake holders, interest groups, and public agencies, is often featured as a new Landmark and has become an iconic setting within the heart of Boston.